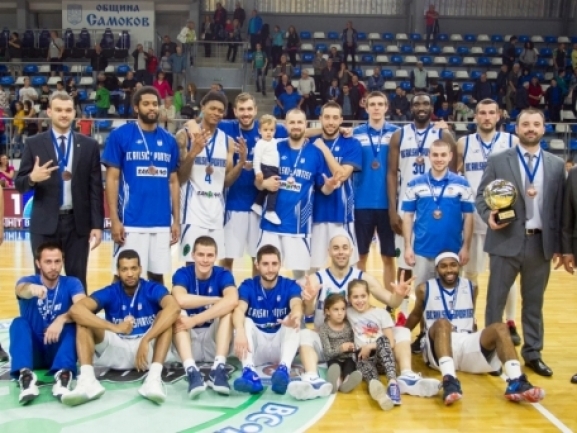 BC Rilski Sportist took the bronze medals in Bulgarian league. The Samokov team defeated BC Akademik Bultex 99 by 92-77 at home to win the series 2-0 and finish third. In the first half the game was close as both sides were exchanging baskets. Rilski managed to make its move in the third period when the hosts took a double digit lead which they held on until the end. Derek Wright had a great game for the winners with 21 points and 11 assists. Travis Taylor finished the game with 15 points as Yordan Bozov scored 14. The visitors were led by Dimitar Dimitrov with 21 points as Martin Durchev added 19.